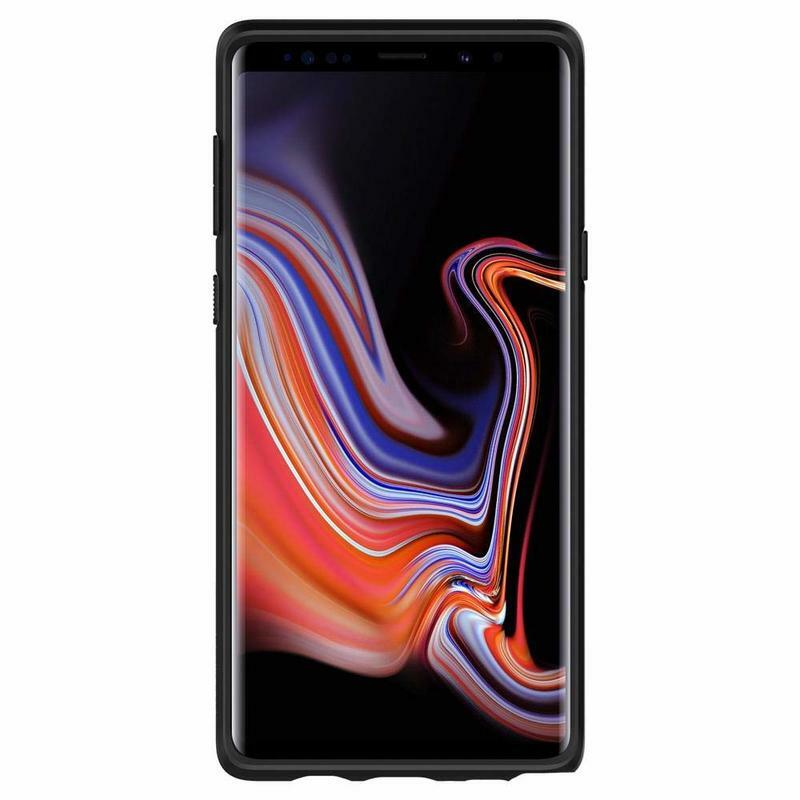 After purchasing the Galaxy Note 9, you’ve made a serious commitment. Samsung created an all-around beast that’s far from cheap. Its price comes in at a whopping $1,000. Yet the Galaxy Note 9 does seem to be worth every penny. So you should protect that investment with a case that doesn’t skimp on protection or style. 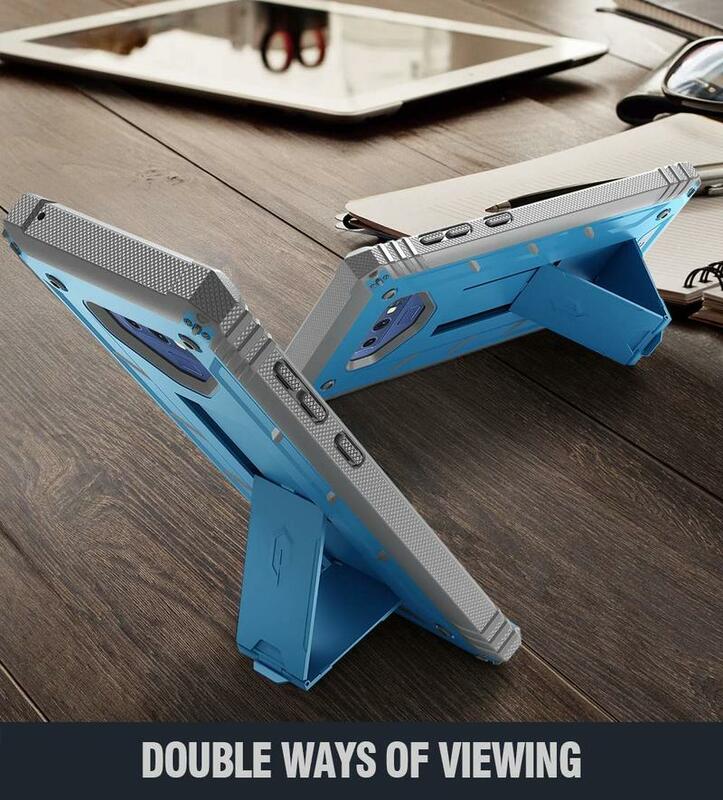 While you may not want a case, it might be absolutely necessary. 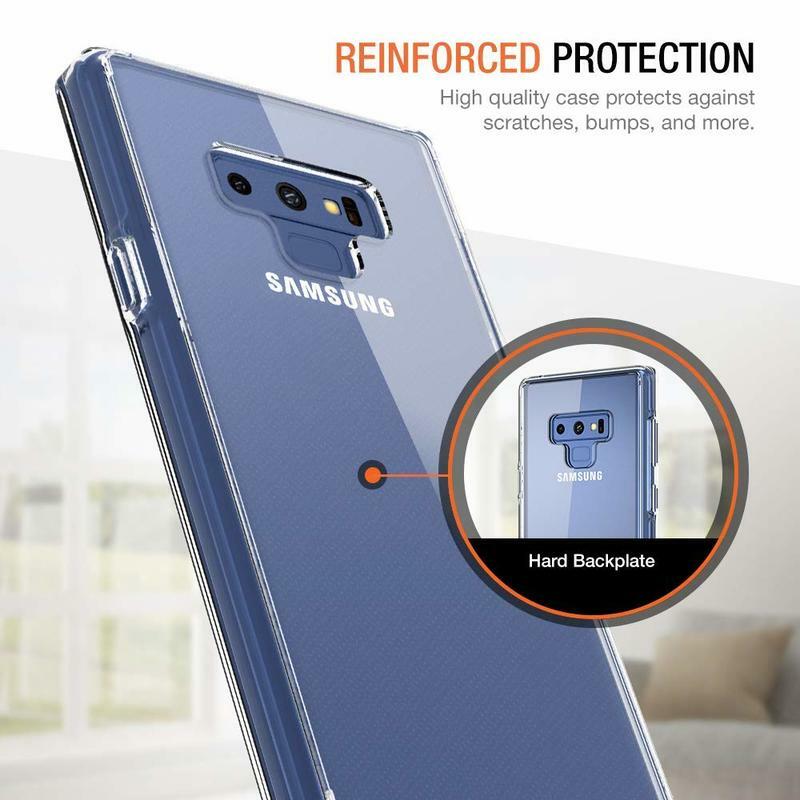 The Galaxy Note 9 uses more glass than metal; therefore, its construction could be susceptible to scratches and cracks. 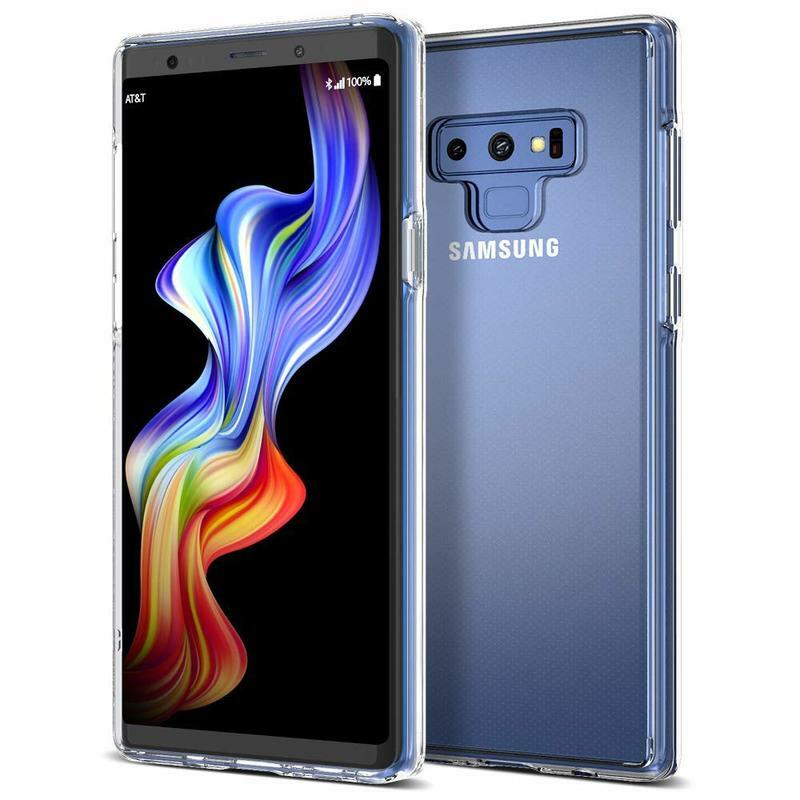 Our picks for the Galaxy Note 9, however, will keep your prized possession in mint condition. 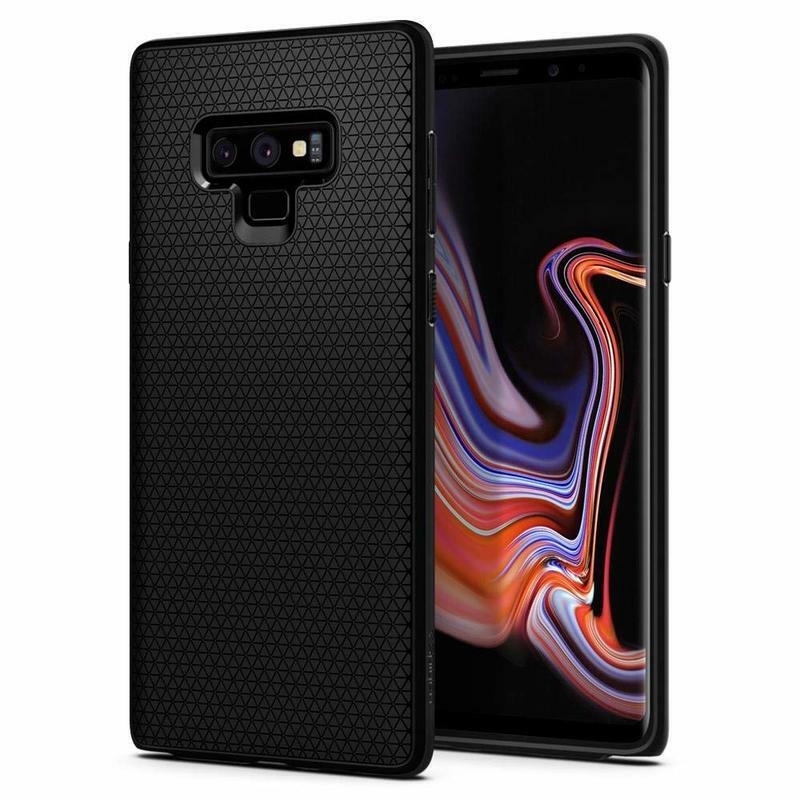 Here are some of the best cases for the Samsung Galaxy Note 9. Your Galaxy Note 9 is pretty big. Do you want to make it even bigger? Probably not, and that’s why the Liquid Air could be a go-to. 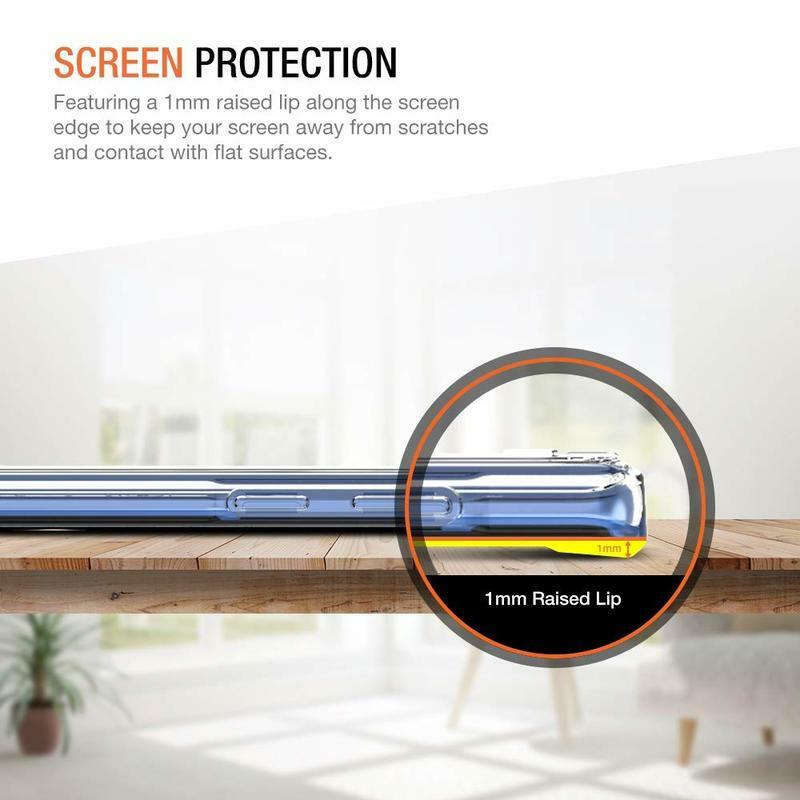 It’s thin, but Spigen packed it with military-grade Air Cushion technology that absorbs shock from drops. 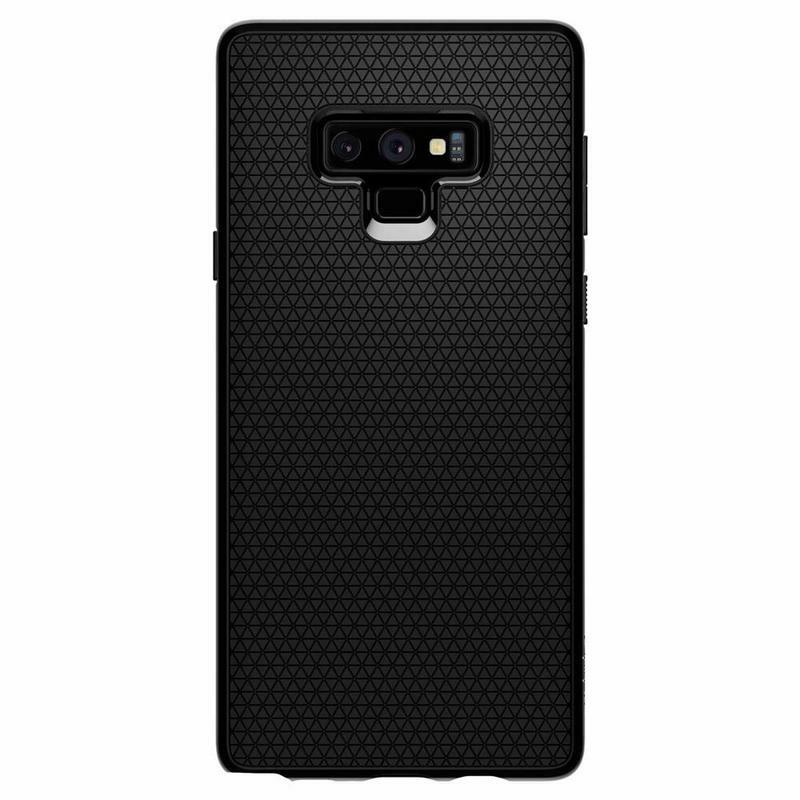 While you can only get it in black, the Liquid Air Armor case earns some style points because of the textured design. The backside features geometric engravings that enhance your grip. 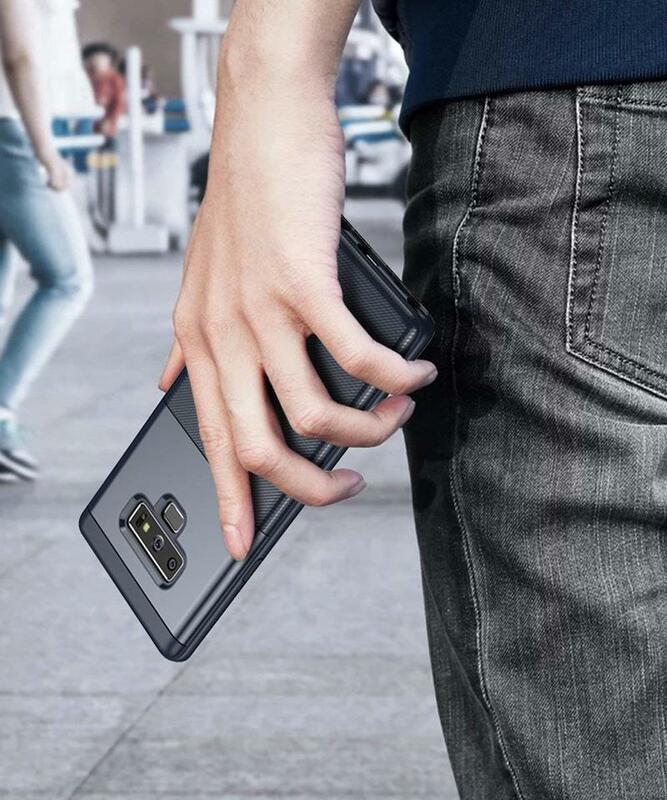 So the Galaxy Note 9 shouldn’t slip from your hands too easily. 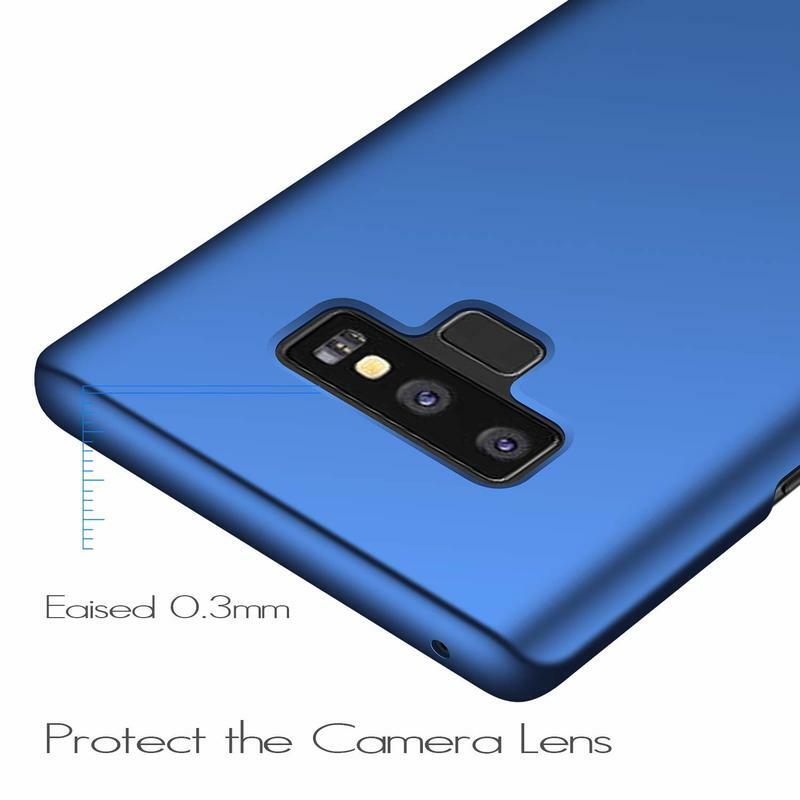 Spigen’s name might sound familiar, and it really should. The brand creates beautiful, dynamic accessories. 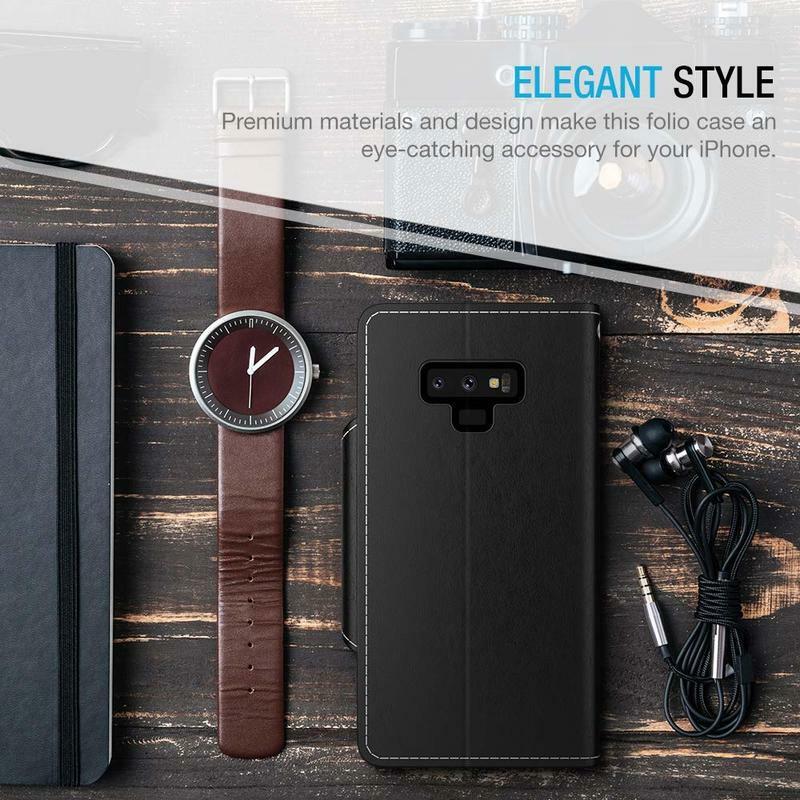 Aside from offering a decent selection, Spigen has succeeded because its accessories are high quality yet inexpensive. Those two things don’t often find themselves associated together. Spigen, though, does strike a balance between price and quality. 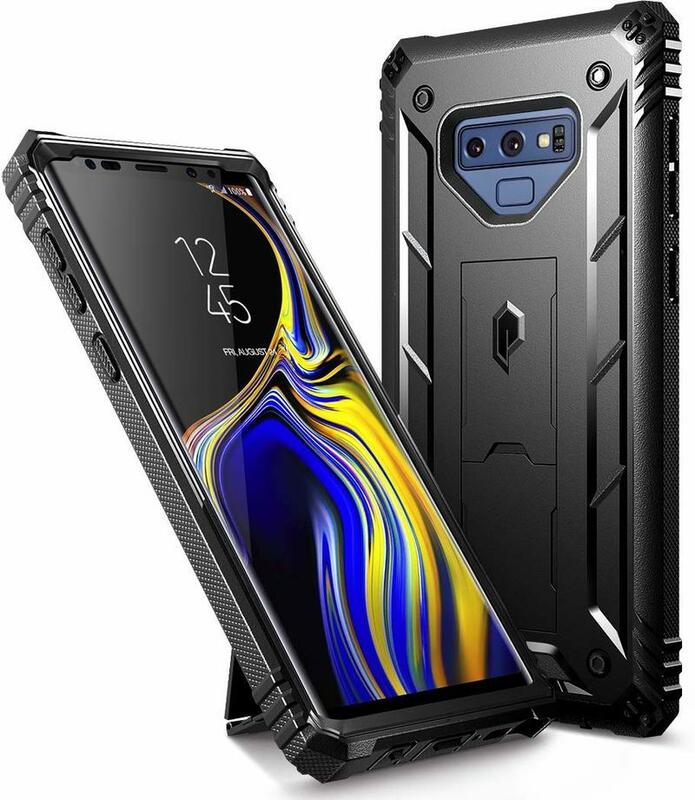 If you choose this case, your Galaxy Note 9 won’t be weighed down but will still get the full coverage it deserves. 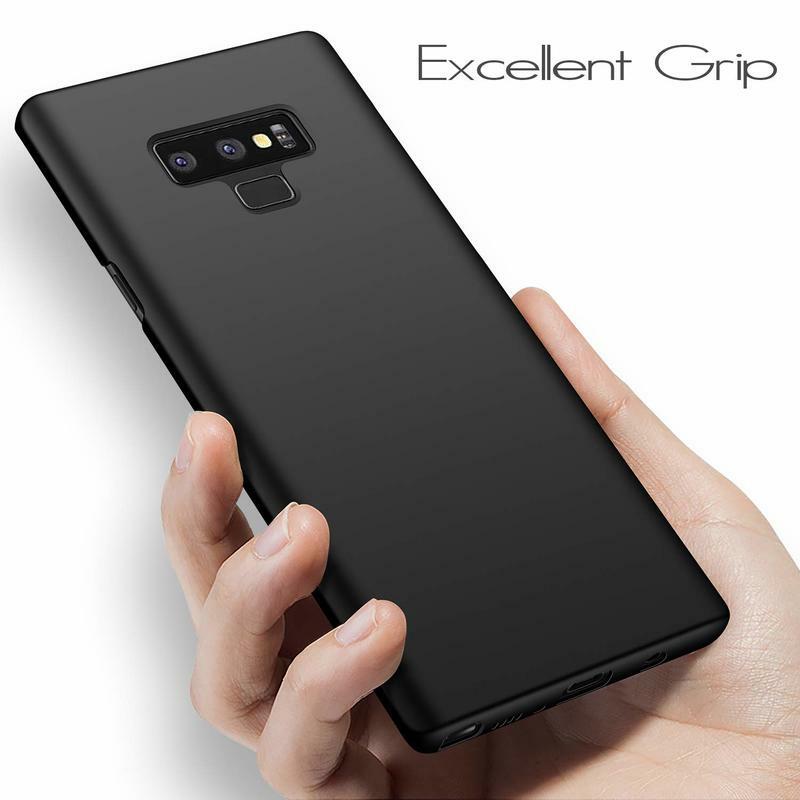 The Liquid Air Armor case has a price that’s a tick above most cases, but you’re getting excellent quality. Spigen also has a best-in-class warranty program that takes care of customers quickly and effectively. 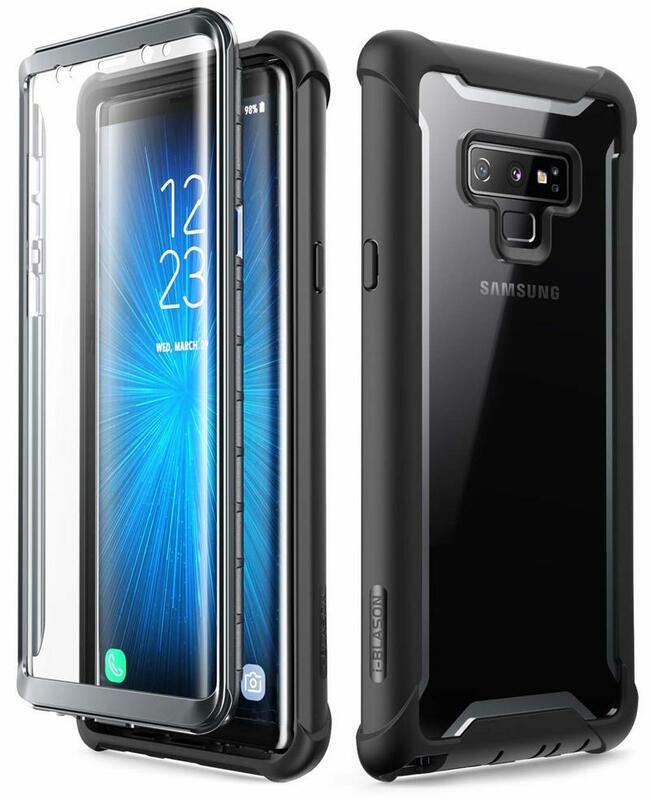 Since you just spent a whopping $1,000 on Samsung’s flagship, think twice before hiding it away in a case. But you can still get protective accessories and showcase that gorgeous design. 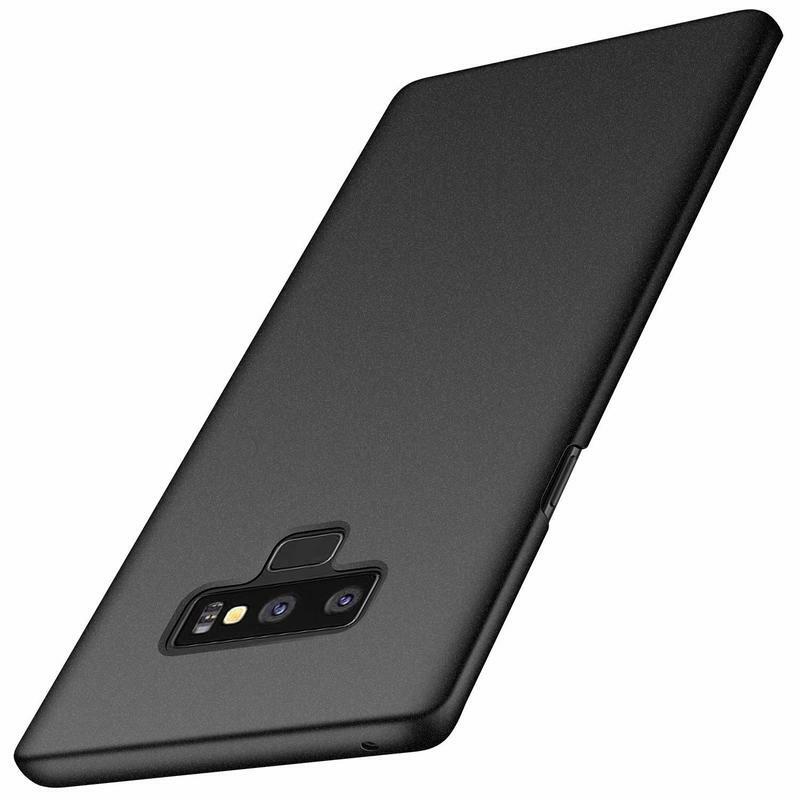 Trianium’s Clarium case doesn’t have any color; therefore, nothing visually separates your Galaxy Note 9 and the rest of the world. 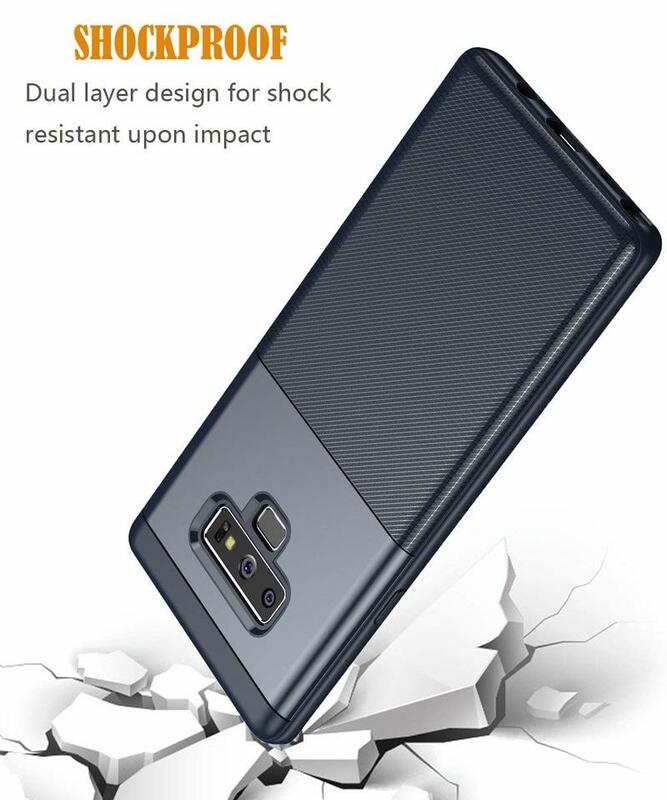 The shock-absorbing frame, made from thermoplastic polyurethane (TPU), keeps most drops from turning the Galaxy Note 9 into a shattered mess. 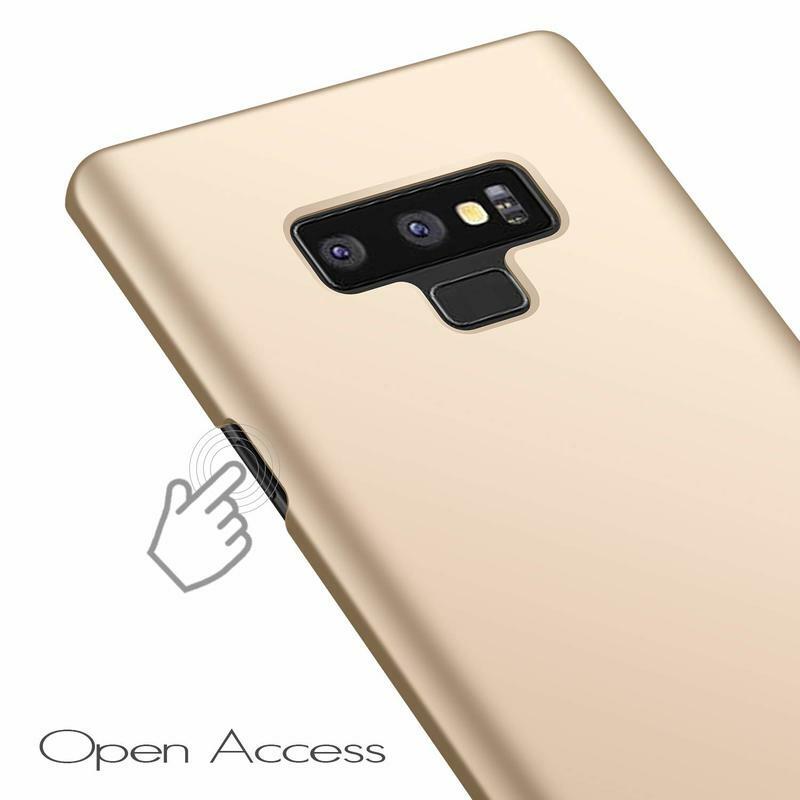 As for the polycarbonate (PC) backplate, your phone will remain free of scratches and scrapes. Trianium also tosses in a lifetime warranty. If you run into any issues, the brand will swap for a replacement or issue a refund. Before you go knocking it, take into consideration the design-related enhancements. The Clarium case has raised edge to avoid scratching the display. 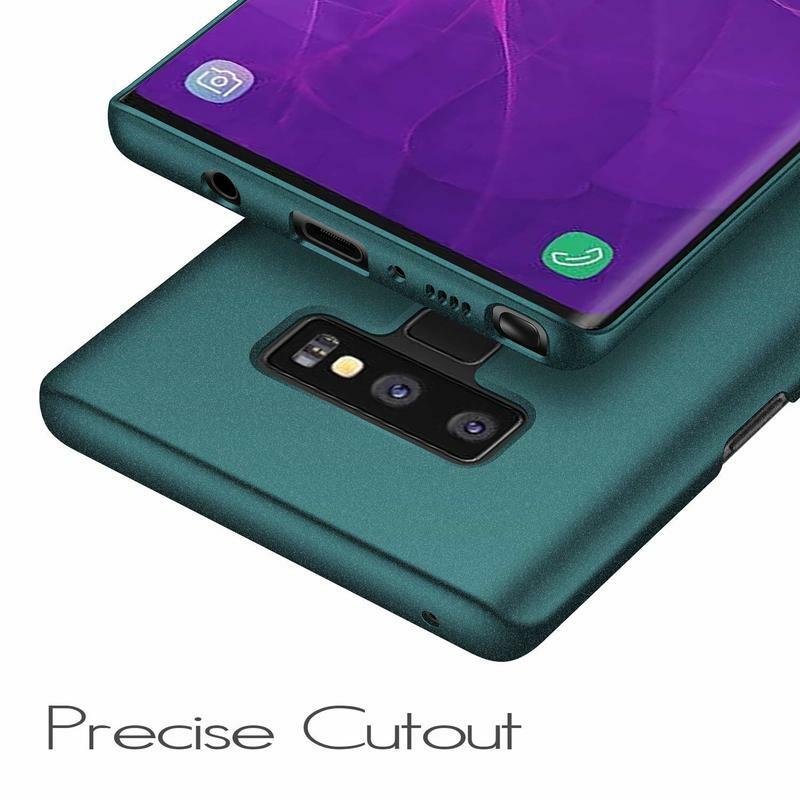 It also has an anti-cling patter on the interior to avoid sticking to the Galaxy Note 9 and creating air bubbles. 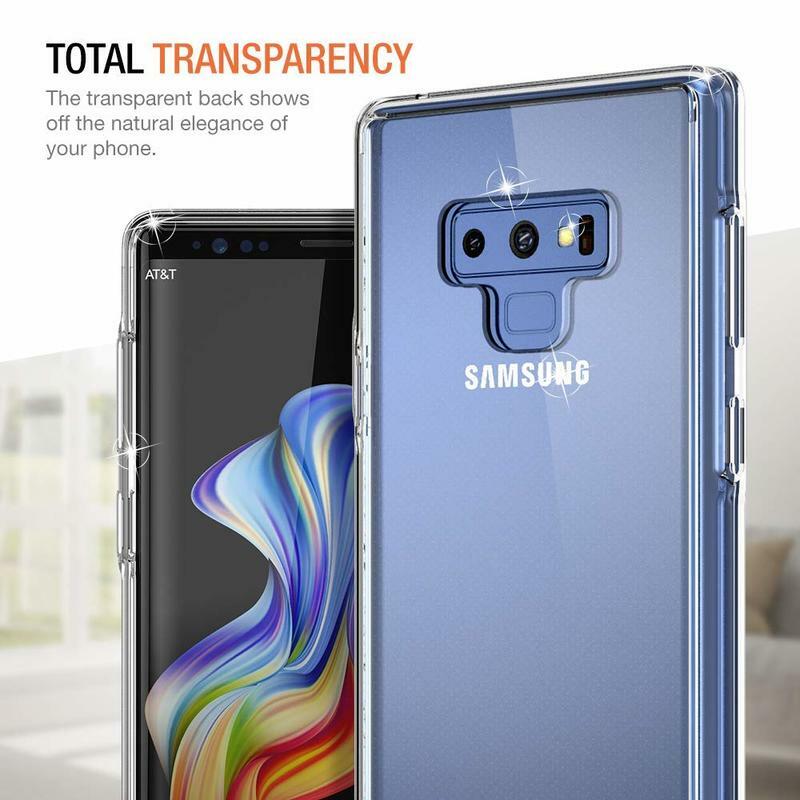 See, it’s more than a $9 clear case. Anccer’s Colorful case wins at unlocking light, simple protection. 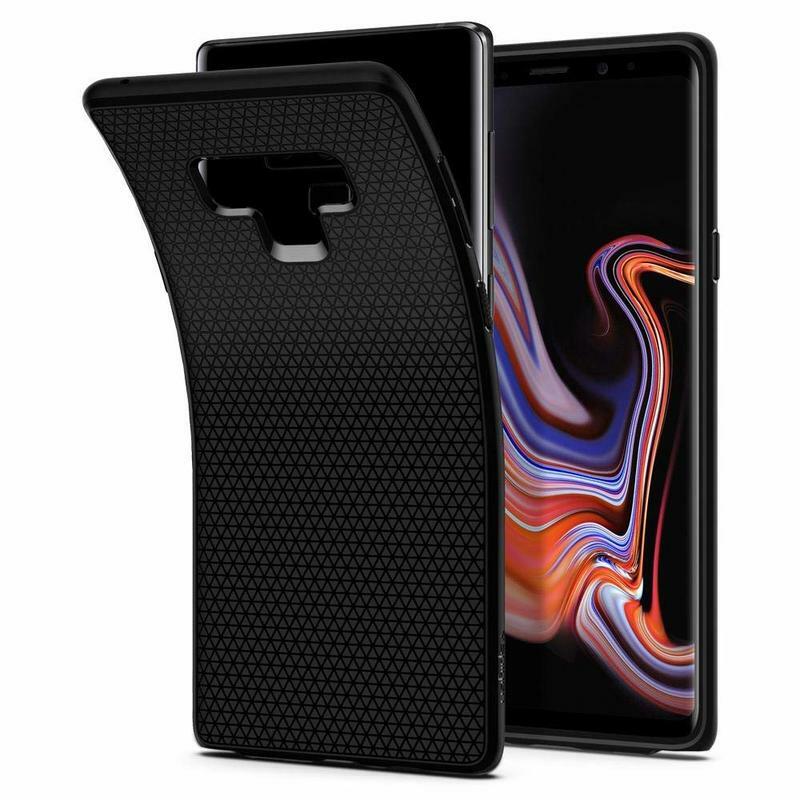 It won’t save your Galaxy Note 9 from big falls, but it should withstand bumps and knocks. The brand uses ‘advanced PC’ while maintaining a slim profile. 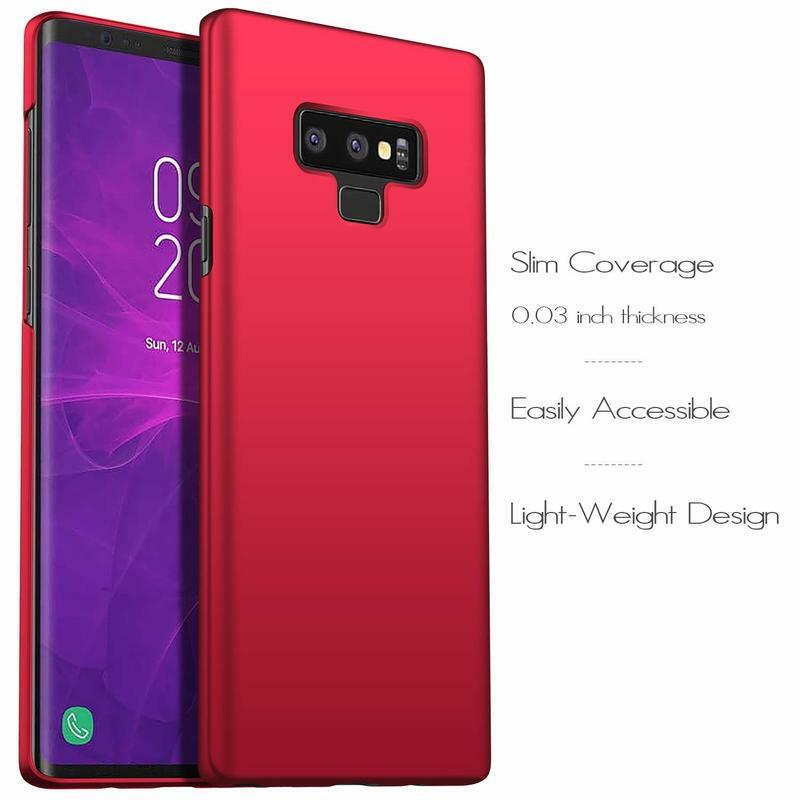 In the process, the Colorful case adds another shade of color to the already-dazzling phone. The Colorful case comes in nine colors that have matte, gravel, and smooth textures. 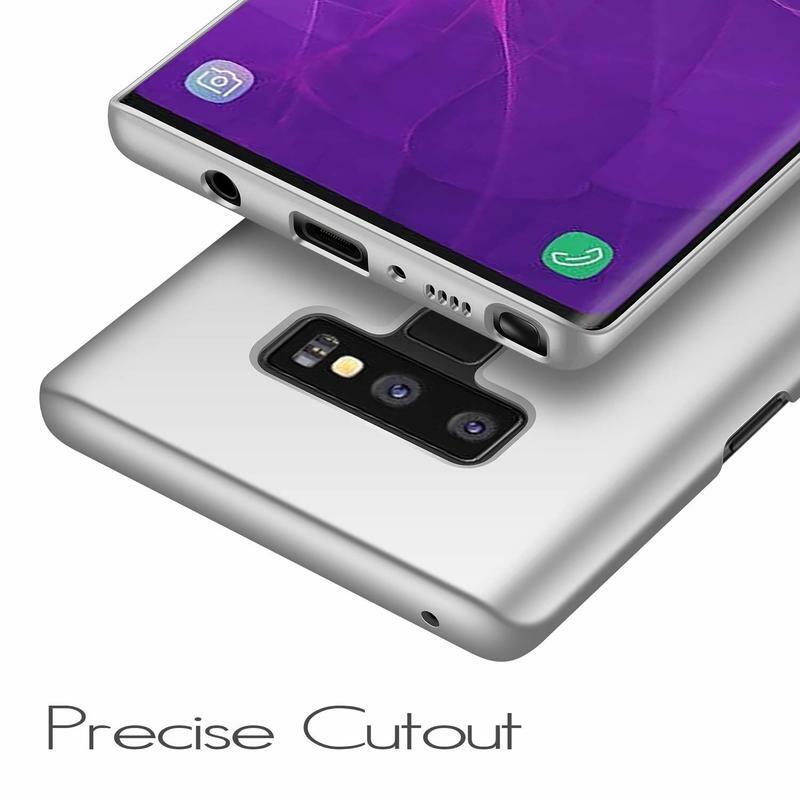 No matter what you select, you’ll get an accessory that covers the Galaxy Note 9’s back and sides despite its 0.8mm thickness. 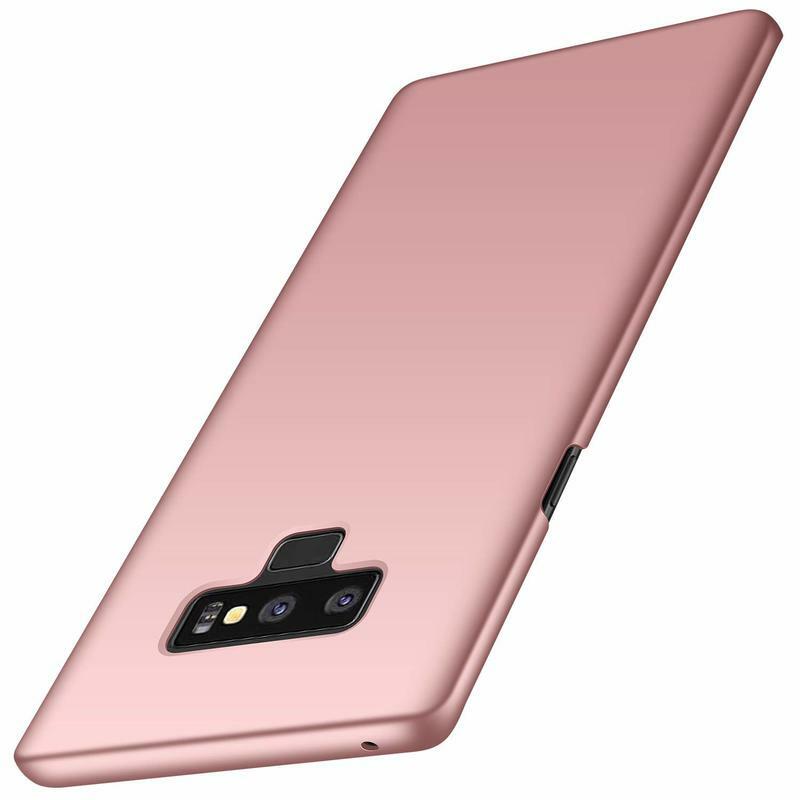 You’ll definitely find cases with more protection, but the thin case category deserves attention. Anccer, too, should get a look. While most thin cases are far too thin and thus useless, the Colorful case gets out of the way but stays impactful. The Leather Wallet case is made of, well, leather. It also doubles as a wallet! 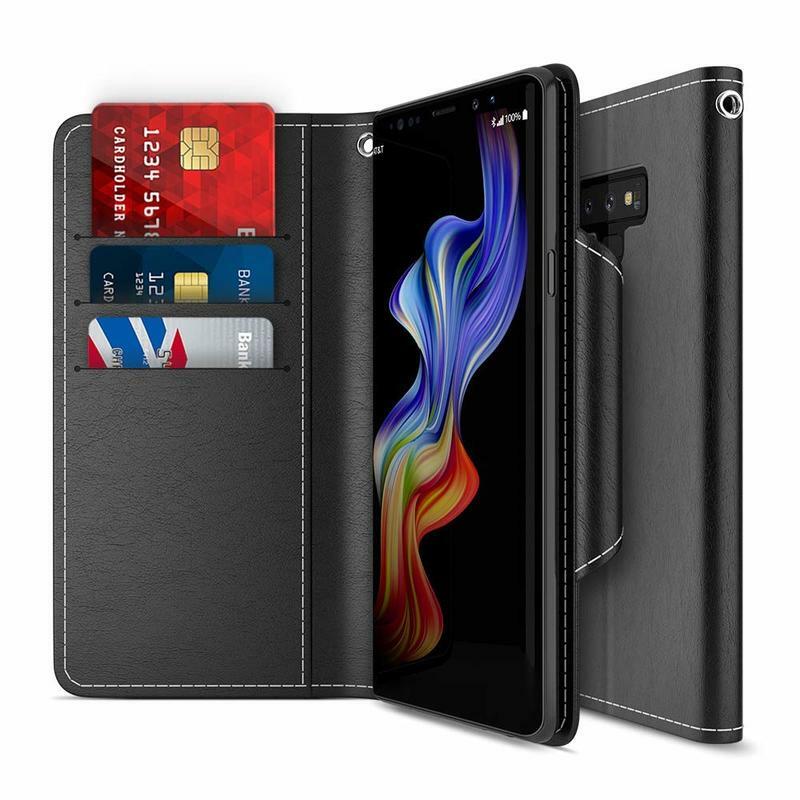 Now that the obvious has been stated, we’ll remind you how your wallet and phone are two things you always have on-hand. Maybe you should start carrying them together and lessen your load. Maxboost, which makes various cases, developed this case with a lightweight design and a precision-cut fit. 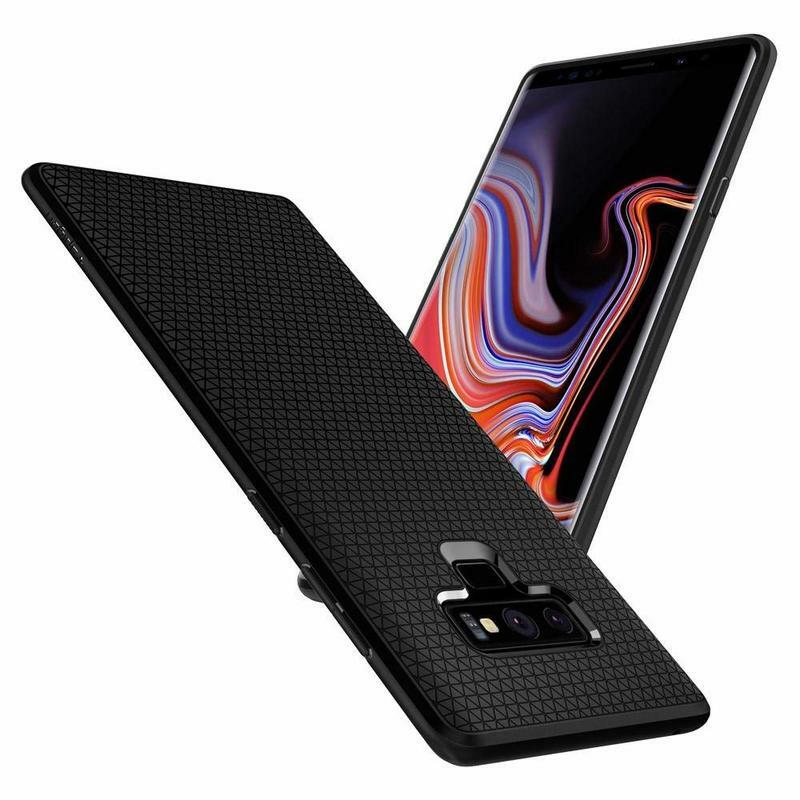 Will it tightly hug your phone? 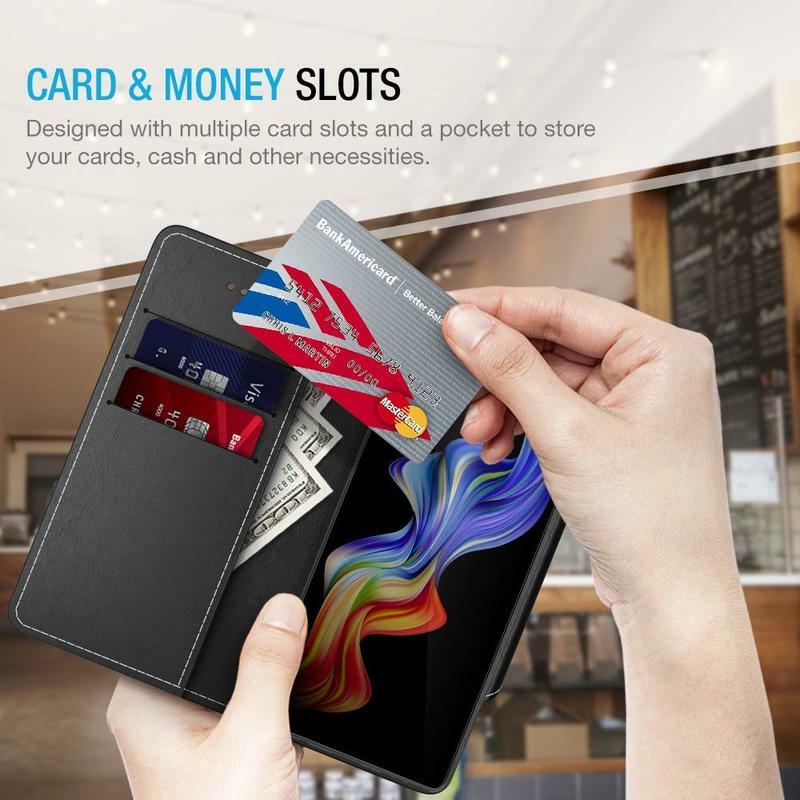 Absolutely, and it’ll also secure cards in the pockets. Sometimes your important items can slip out, but Maxboost says the pockets withstand repeated use and won’t stretch for a long time. 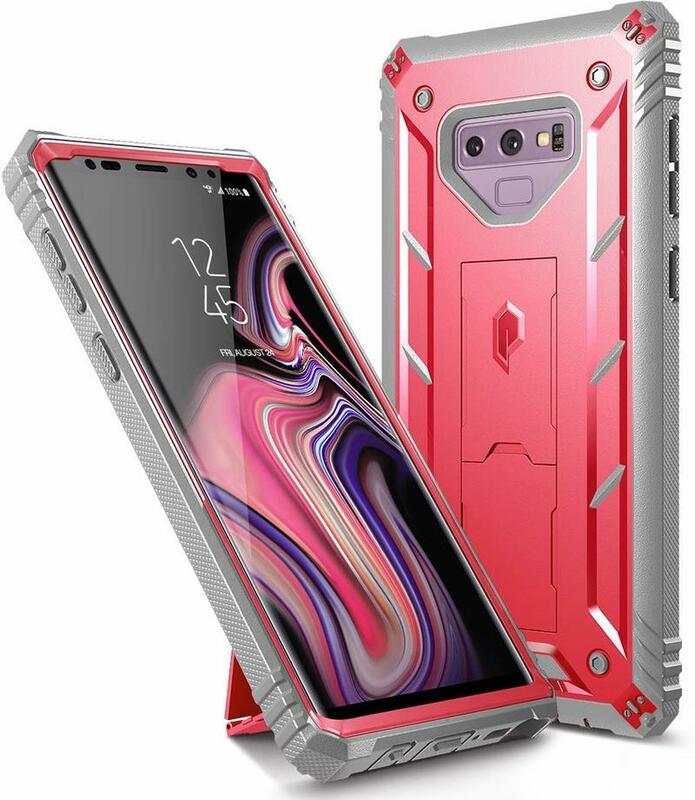 i-Blason made the Ares case with one thing in mind: protection. 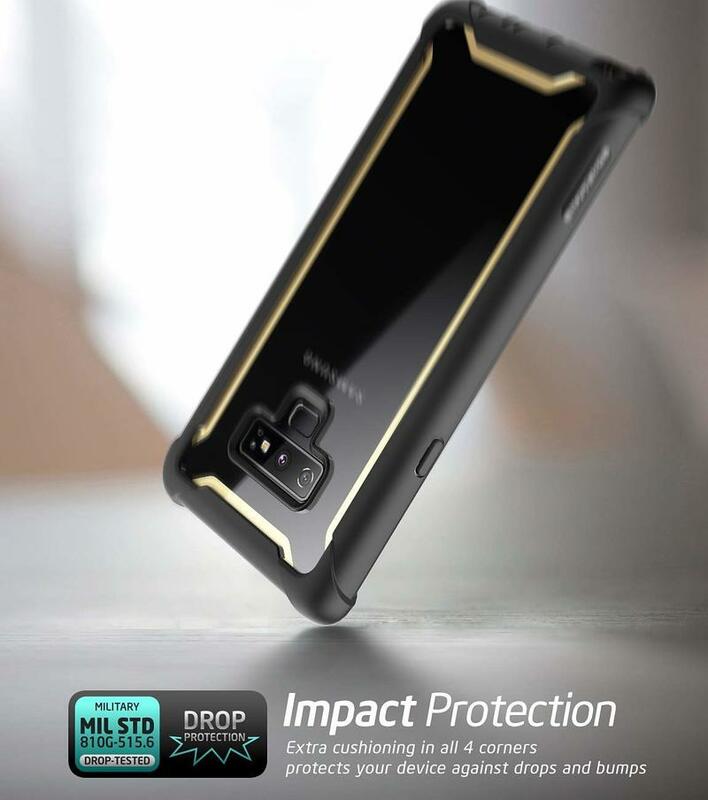 The Ares case features 360-degree coverage because, in addition to shielding the sides and back, there’s a built-in screen protector as well. So your Galaxy Note 9 isn’t vulnerable from anywhere at all. 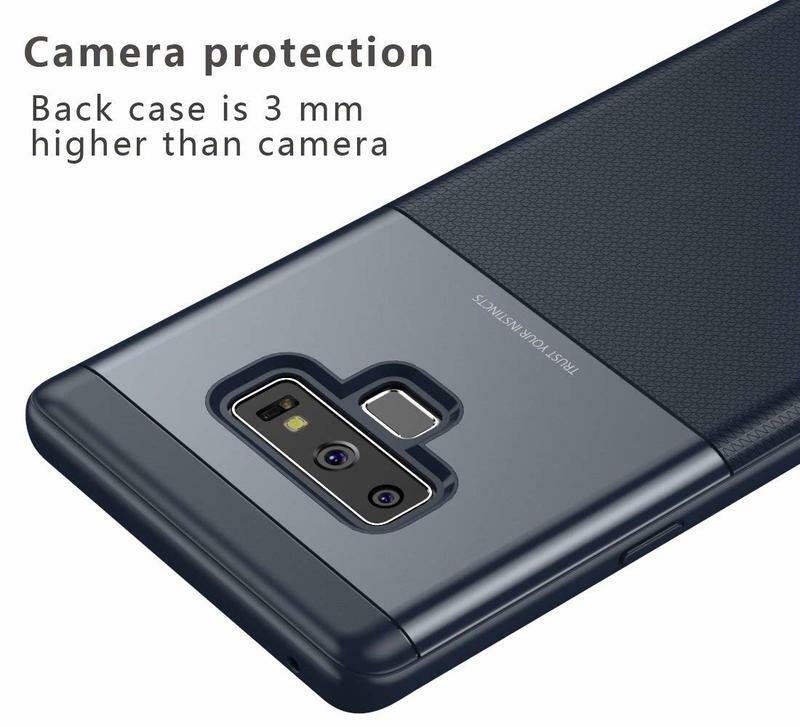 Yet the Ares case lets Samsung’s flagship breathe. 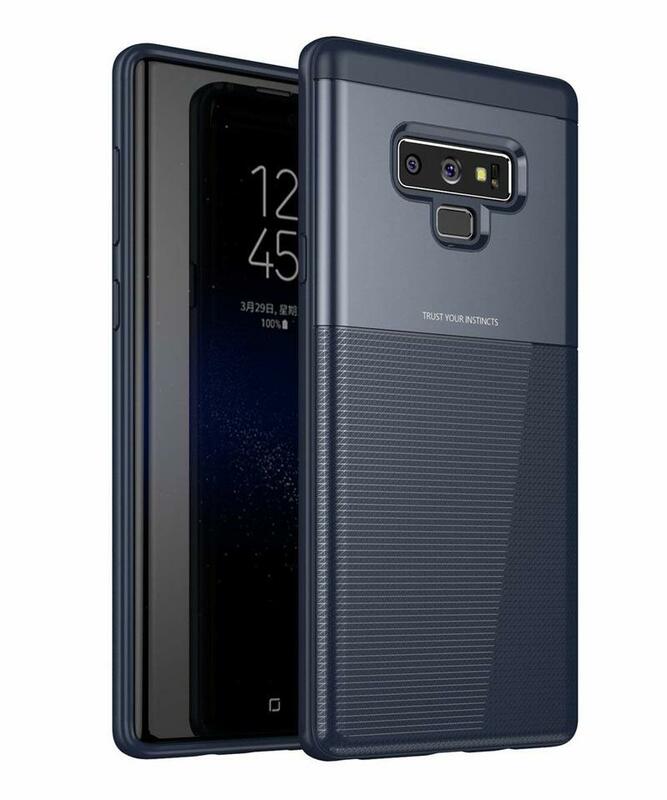 It has a transparent backplate, meaning the Galaxy Note 9 doesn’t get hidden in a big and bulky accessory. Everyone can still admire the hardware engineers’ work. Drops are a minimal threat, and scratches will be an afterthought. i-Blason uses TPU and PC that absorbs shock and rejects sharp objects. 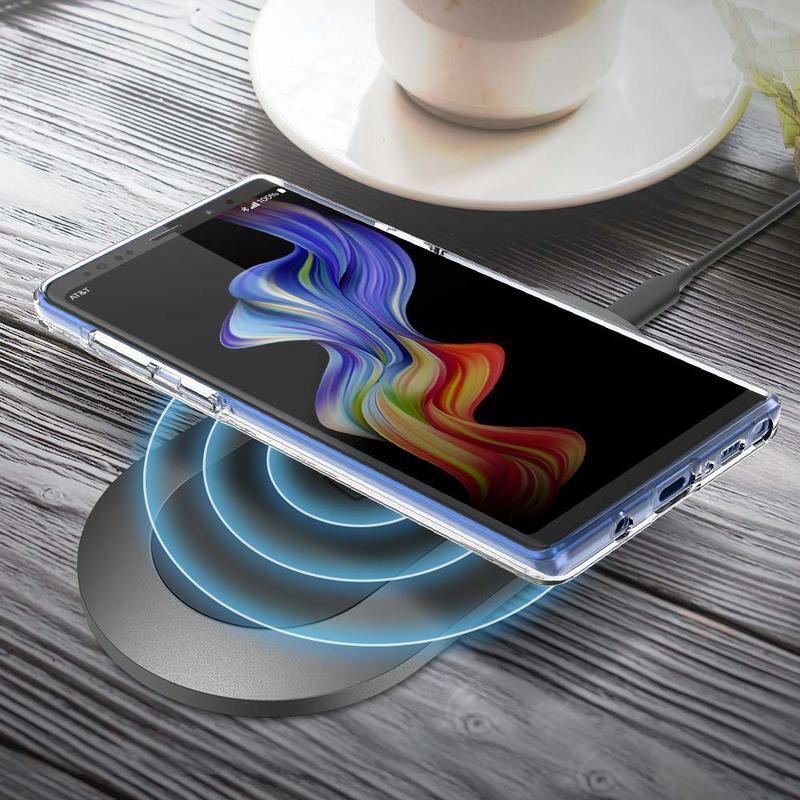 By the way, you’re able to continue using the Galaxy Note 9 on a wireless charger. 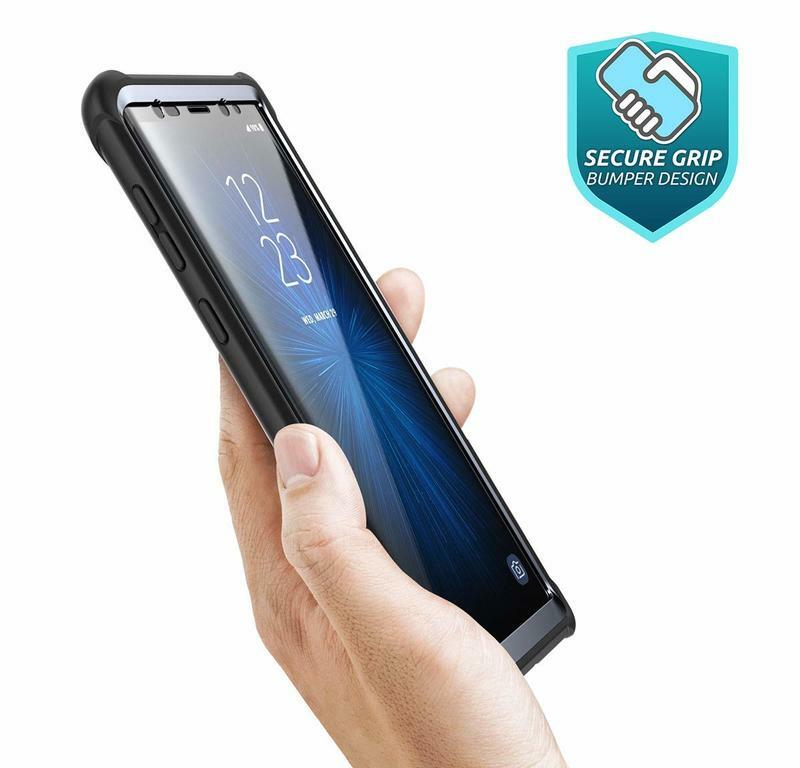 That’s a pleasant surprise because too many protection-heavy cases are incompatible with other accessories. 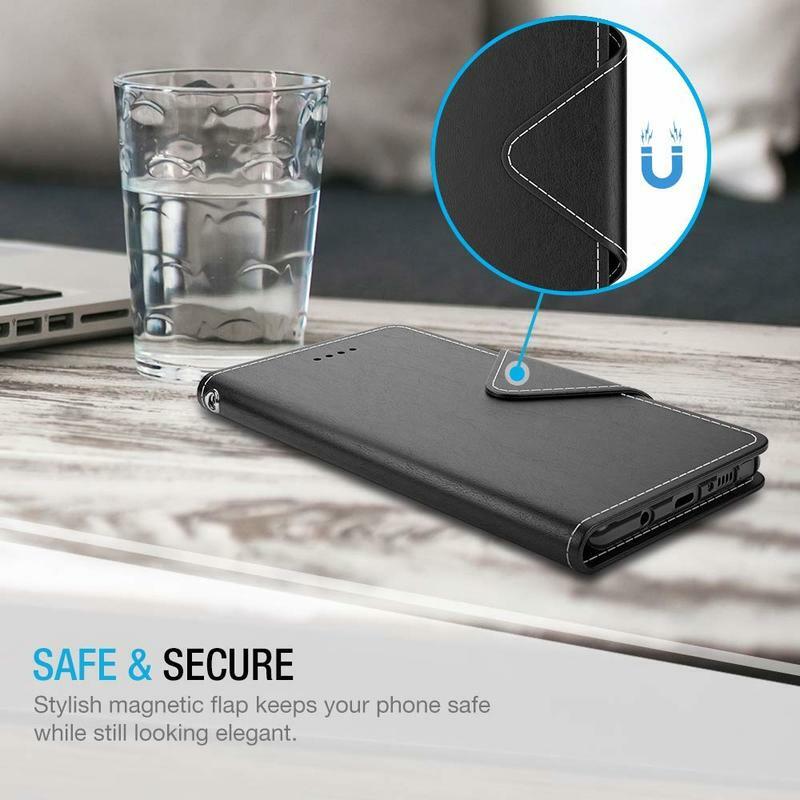 Spevert landed on this list because, while offering dual-layer protection, the Hybrid Slim case comes across as stylish. 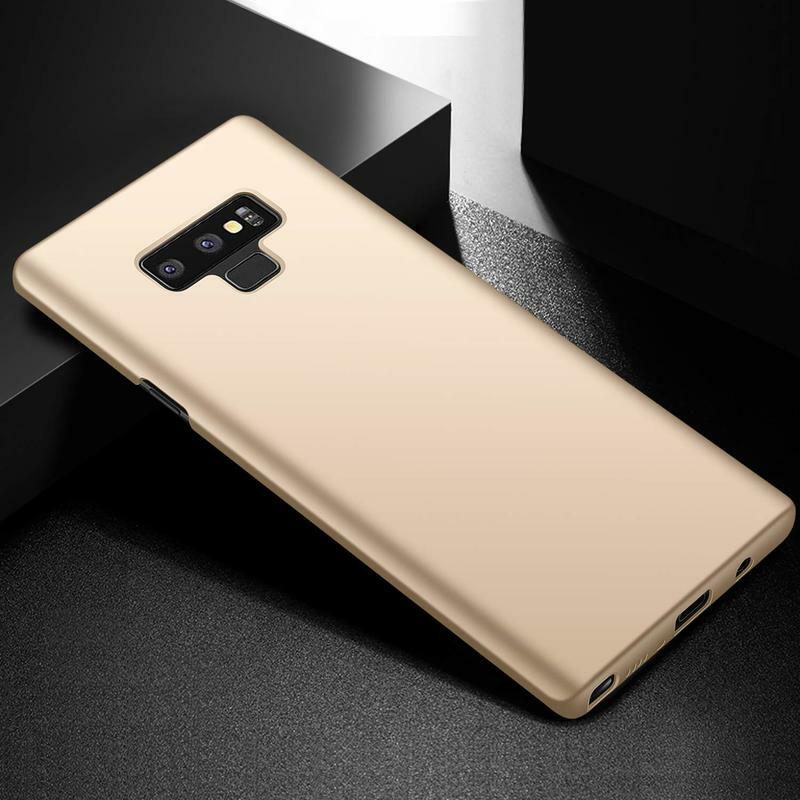 It’s classier the most cases, blending TPU and PC in an untraditional method. The top portion of the case has PC, but the rest is TPU-based. 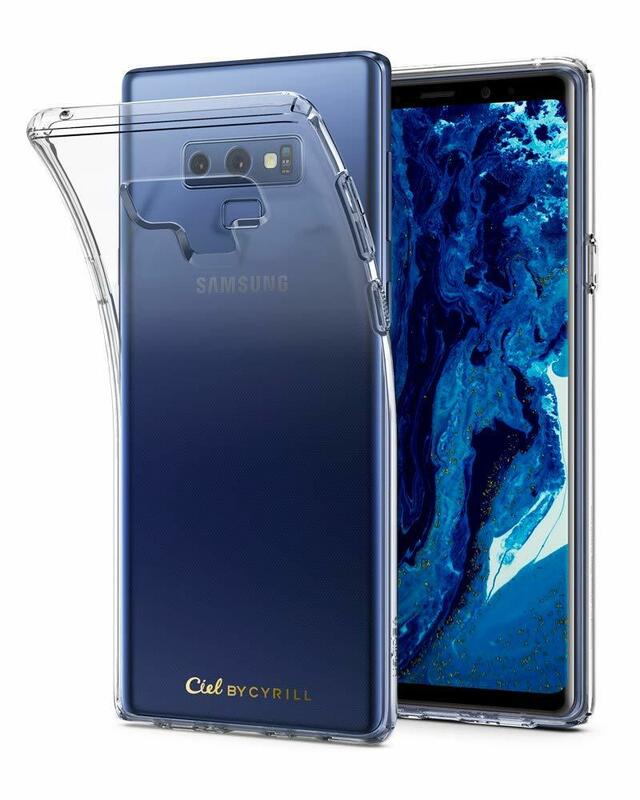 It also comes in two colors that highlight Samsung’s Ocean Blue and Lavender Purple. 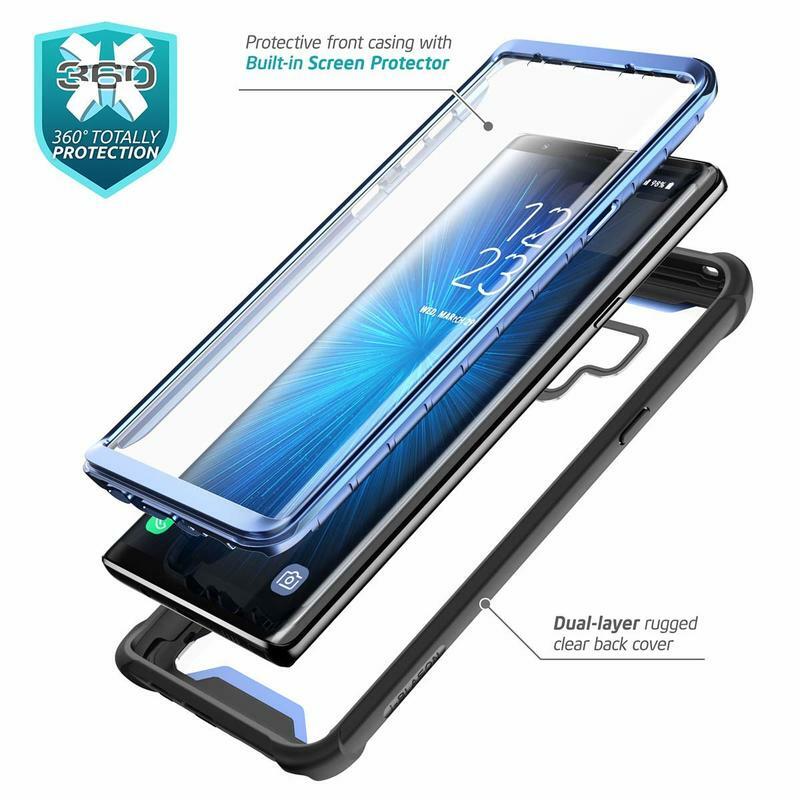 It does shield your phone, too. 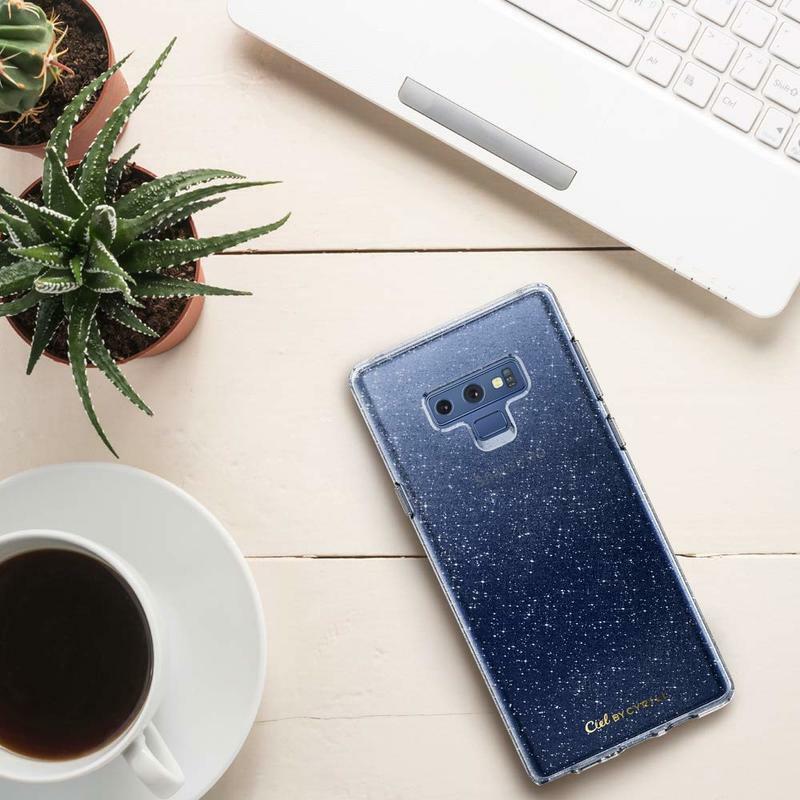 Both materials collaborate in an effort that eases impact and doesn’t leave an unsightly mark if the Galaxy Note 9 takes a direct hit. 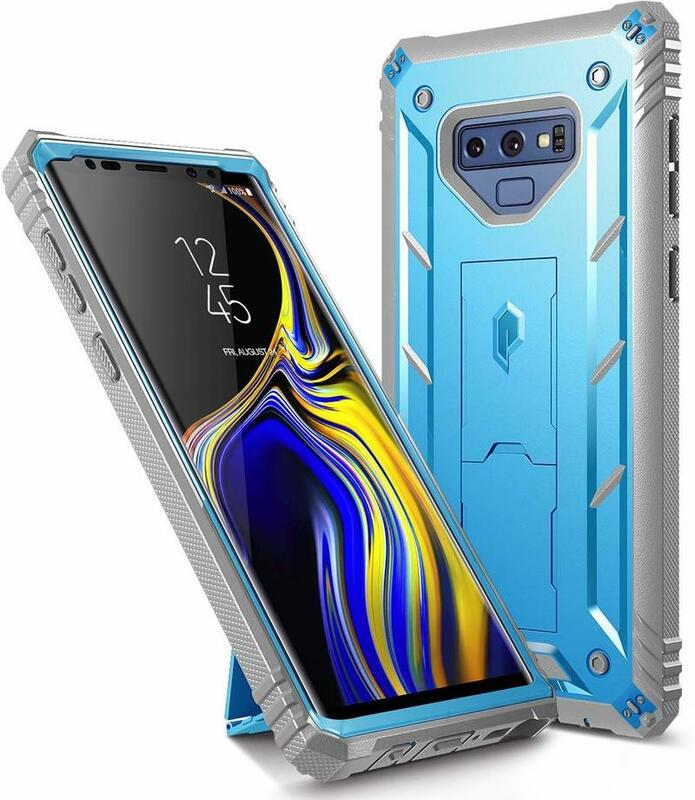 Maybe the Galaxy Note 9 needs to be flashier. 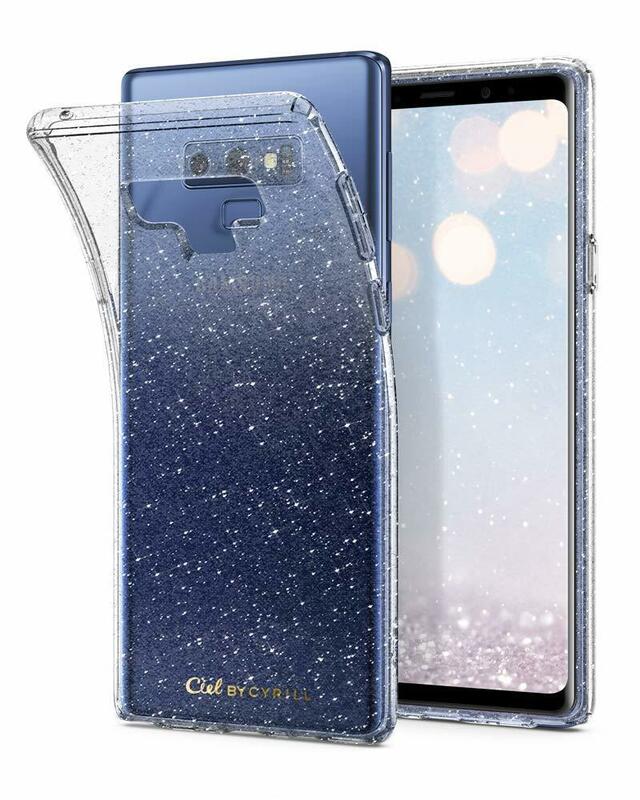 Take a look at Cyrill’s Cecile case. It presents three styles that might make your phone even prettier. The glitter option adds a whole bunch of sparkle. When light touches it, the Cecile case will shine bright and make an impression. 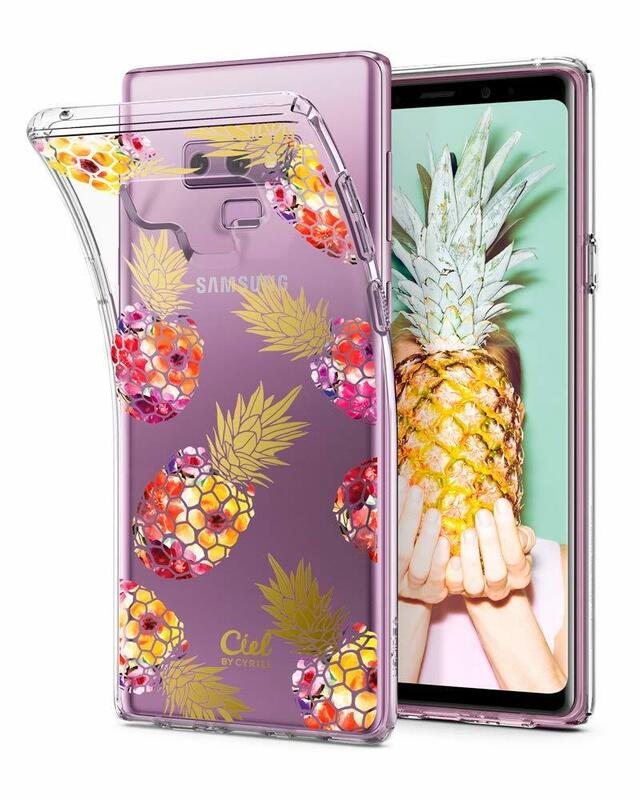 Otherwise, the pineapple and floral options just blend in very well on top of the Galaxy Note 9’s colors. You want fashion, and you’ve got it here. Cyrill didn’t overlook protection, though. The TPU can withstand your life — knocks, drops, and bops. 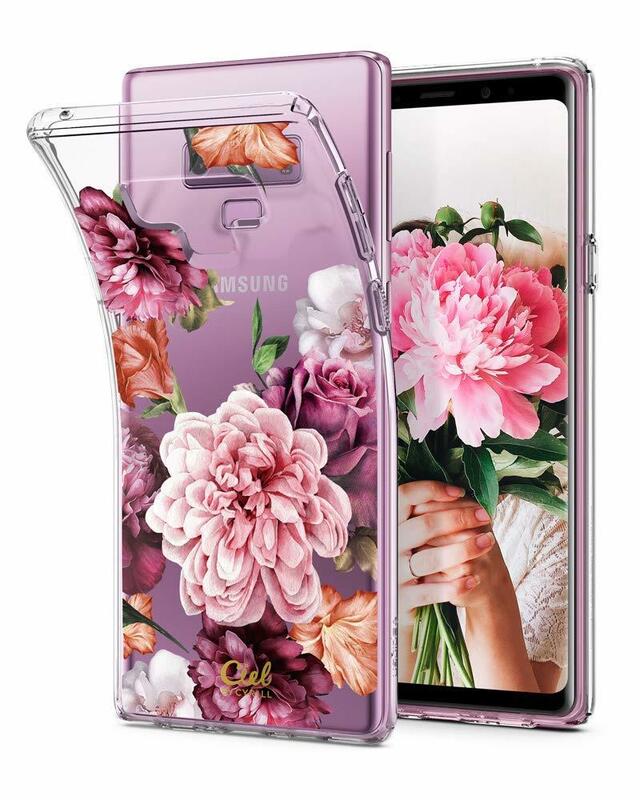 Poetic rolled out a case for the Galaxy Note 9 that boasts all-out protection. 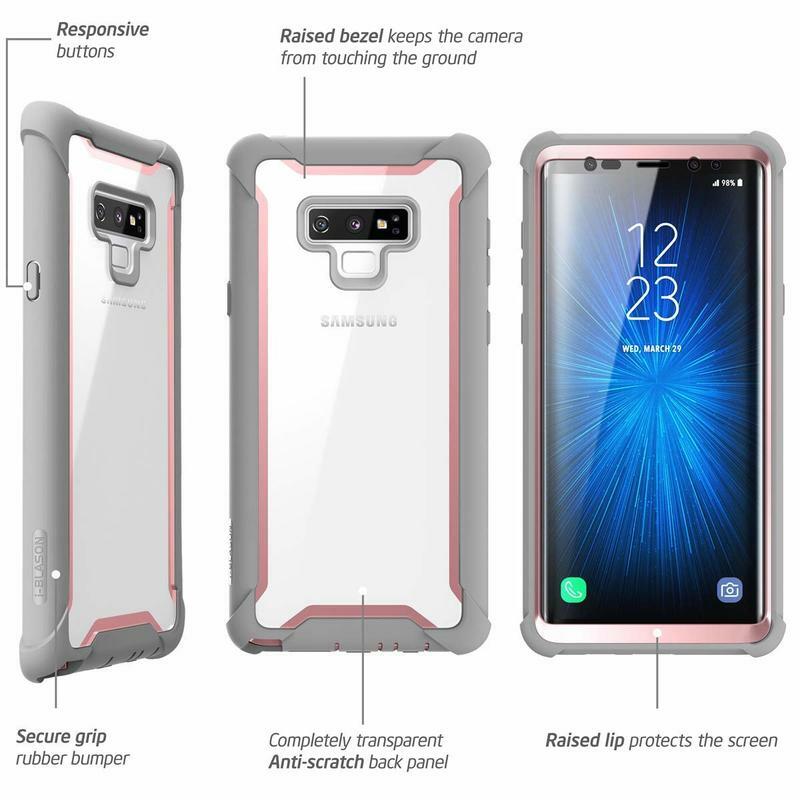 The Revolution case is tough, and that’s because it has 360-degree protection between the heavy duty construction and built-in screen protector. Here, Poetic implemented TPU, PC, and covered the ports as well. 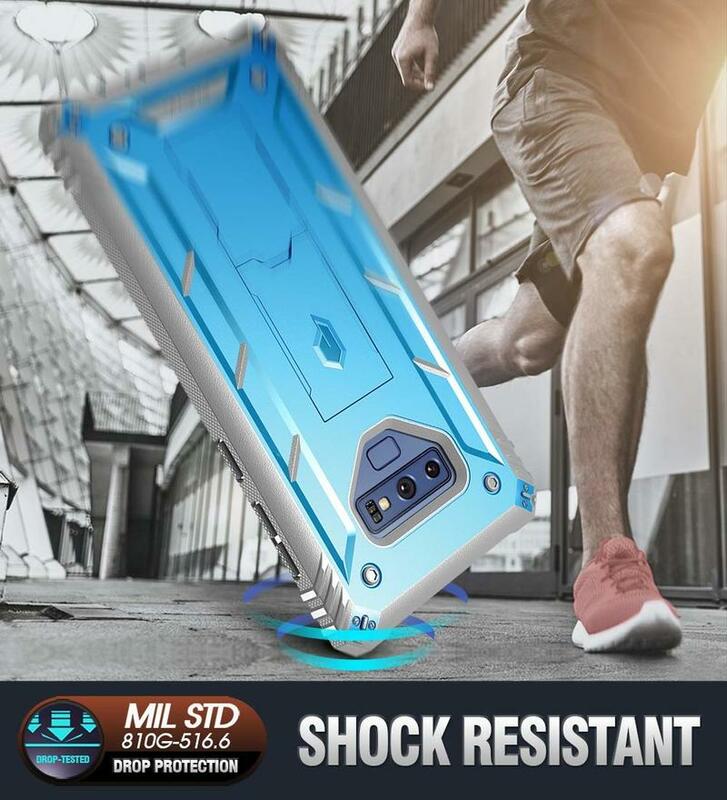 Nothing will harm your precious phone if you have this case. 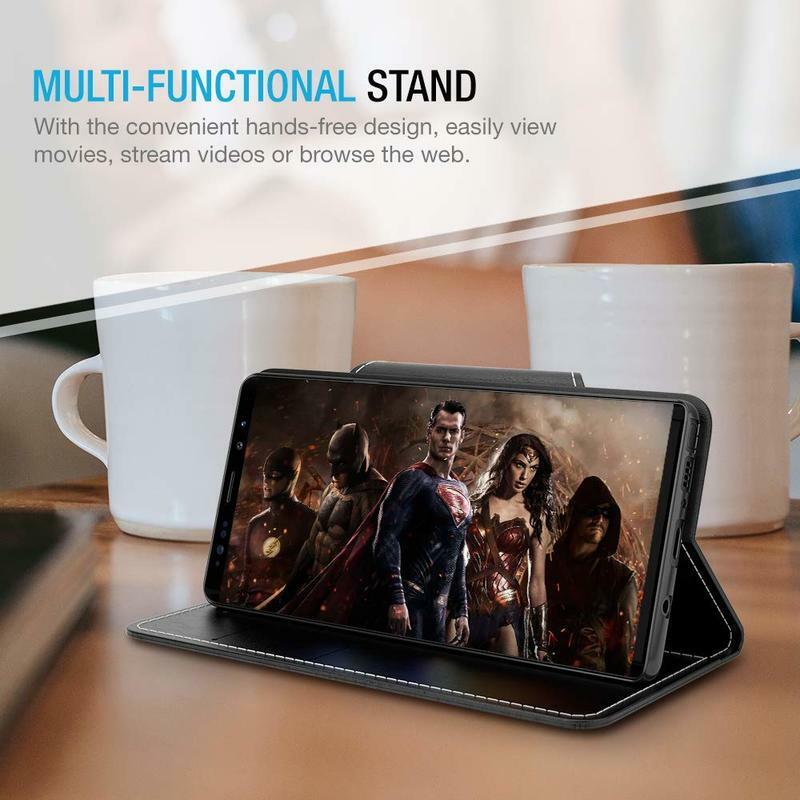 It also has a built-in kickstand to make your viewing experience even better on the Infinity Display. The Revolution case means business. Poetic says it achieved military-grade protection. If you drop it, the shock-absorbing material will dissipate the blow. The hard back, meanwhile, also aids in that effort and acts as an outer shield. Not everyone wants a case like this, but for some Poetic’s Revolution case is absolutely necessary.